Are you a CSIR NET life science aspirant from Kolkata? Well there is good news for you then. Shomu’s Biology is offering CSIR Net life science coaching in Kolkata for the resident of Kolkata, Howrah and Hooghly. CSIR NET life science coaching in Kolkata will be using the classroom mode of teaching where you need to go physically for the classes. Lectures will be delivered by Suman Bhattacharjee. This CSIR NET coaching centre in Kolkata is located Near Central Avenue metro station (2 min walking distance) which is fully equipped with modern state of the art teaching technology for the quick and fast learning. This CSIR NET coaching in Kolkata will be conducted by Suman Bhattacharjee, head of the renowned Shomu’s Biology. 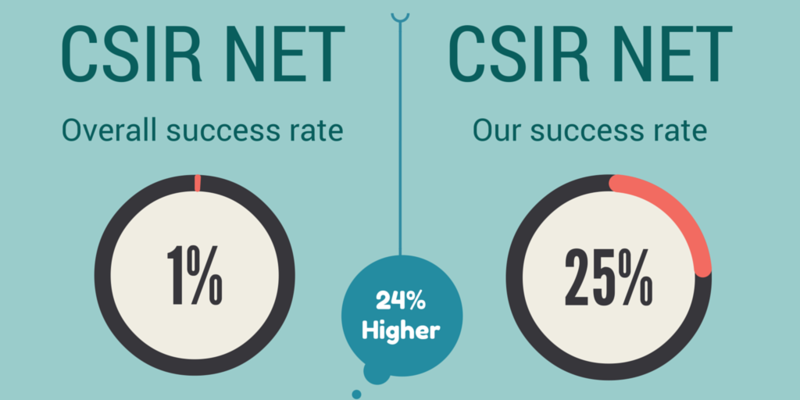 Shomu’s Biology has been offering CSIR NET coaching online for last 4 years with the average success rate of 24%. NOTE: Our venue has been changed, We are now at near Central metro station. Location – This CSIR NET coaching centre in Kolkata is located Near Central Avenue metro station (2 min walking distance) which is fully equipped with modern state of the art teaching technology for the quick and fast learning. Seat availability – 45 (We care for better understanding and personal care to each student. That is why we keep 50 students in our batch. As the batch is small, they are filled fast too. So, you have to join fast to be in the CSIR NET classroom coaching in Kolkata. Every class will be recorded so if you are unable to join any class, there will be no loss you can watch the recorded class anytime. Secret Tips and tricks for the strategy of qualifying CSIR NET exam fast and effectively. Whatsapp Group for the discussion of different questions and solutions and different exam related news. Please provide a valid contact no. So you can see the bunch of benefits you are going to get if you join CSIR NET coaching in Kolkata with Shomu’s biology with the most economic course fee in the Industry. Shomu’s Biology NET Classroom coaching is not only beneficial for CSIR NET exam but it will be helpful for other Phd such as TIFR, NCBS, ICMR NET JRF, UGC NET JRF, SET, GATE Life sciences exams. So pay only for one classroom coaching and be prepared for all the types of phd entrance examinations.